Many of you reading this will have a mom who adores chocolate. There aren’t many women in the world who would turn down a bar of their favorite. So why not get her just that for her Mother’s Day gift? Because there are heaps more better alternatives, that’s why not. You can buy her that favorite chocolate bar any day of the week, and so you should. However, an important occasion such as Mother’s Day calls for a special kind of chocolate gift. But where does one of the world’s favorite sweet foods come from? Does it grow on trees or is there a complicated process that takes place before we get to enjoy such a delicious flavor? You won’t find a Hershey bar, Mars bar or any other chocolate confection dangling from the branches of an exotic tree. But one of the raw ingredients that goes into making chocolate bars does actually grow on trees. A small, tropical tree is grown commercially throughout the tropics. Known as the Theobroma cacao, or simply cacao, it produces a couple of thousand pods every year. These pods are shaped like a ridged football and grow straight out of the branches and trunk. The pods mature throughout the year, are encased in a white pulp, and contain as many as forty seeds. It’s what happens to the seeds, or beans, that result in Mother’s Day chocolate gifts, and all the other different types of chocolate available. The pods of the cacao tree are usually harvested twice a year. The trees are really rather fragile, which means the guys harvesting the pods have to do it from the ground, using a long pole with a machete attached to the end. The pods then have to be cracked open, and the seeds inside carefully removed. The beans then go through a fermentation process, in earthen pits or wooden bins, covered with banana leaves. Fermentation causes heat, which helpfully changes the bitter taste of the beans into something more palatable for us humans. The color of the beans changes from pale to dark brown, as the sugars contained inside the bean turn to acids. The pulp residue also melts away. It can take just a few days or a week or more. The beans are then dried in the sun, during which time the flavor continues to develop. Some manufacturers try to speed up the drying process, by drying them over a fire. However, this gives the beans a smokey and inferior flavor. As soon as the beans are dry they are shipped to a chocolate factory for further processing, and to be made into the chocolate we are all familiar with. Once the beans are dry they are cleaned and any debris is removed. After which the beans are roasted using the dry roast method. When the beans have been roasted the hull is removed and the inner nib extracted. These nibs are then ground into a fine powder, containing cocoa solids and cocoa butter. The cocoa butter usually liquefies due to the frictional heat and is called cocoa liquor. The liquor is poured into molds and allowed to go solid. It is also separated into cocoa powder and cocoa butter.Combining these various forms of cocoa with other ingredients creates a number of cocoa products and the various types of chocolate products we find on the shelves of our stores. So what are the most popular types of chocolate? Milk, dark, white, bittersweet and couverture chocolate are just a few examples of the different types of chocolate to choose from, when you’re looking for chocolate gift ideas for Mother’s Day. It’s very likely that mom has a favorite. Which one of the following does she enjoy most? Dark chocolate – Contains cocoa liquor, cocoa butter, sugar, vanilla and lecithin, which is an emulsifier. No milk solids are added to dark chocolate. The cocoa content ranges from 30% to 70 or 80%. Bittersweet and semi-sweet chocolate are also forms of dark chocolate. Milk chocolate – As well as the ingredients used to make dark chocolate, milk chocolate also contains dry milk solids or condensed milk. In order to be called milk chocolate it must contain at least 10% chocolate liquor, 3.39% butterfat, and 12% milk solids. Milk chocolate is much sweeter than dark chocolate , is lighter in color and has less of a chocolate taste. White chocolate – White chocolate contains cocoa butter, but no cocoa liquor or other cocoa products. The chocolate taste is less pronounced. Instead it tastes more like vanilla, or other flavors that have been added. White chocolate contains a minimum of 20% cocoa butter, 14% milk solids, and a whopping 55% sugar. Why exactly do we choose to give such a sugary confection to our kids? But that’s another issue entirely. Couverture chocolate – This type of chocolate is mainly used by bakers and confectioners. It contains a high percentage of cocoa butter, (typically 30%) and a high proportion of cocoa liquor. It is more expensive than the traditional chocolate, but melt quickly and evenly, making it perfect for cake decorating. This is just a small selection of the different types of chocolate. But you should now have enough information to make an informed choice. Chocolate gift basket – Gather together a selection of mom’s favorite chocolates and present them to her for Mother’s Day in a basket. Edible blooms – Flowers made from chocolate? Who would have believed it. 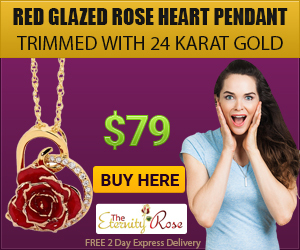 A great gift if a gold dipped rose is a little out of your price range. And a gift that can be two Mother’s Day presents in one. Strawberries dipped in chocolate – Treat your mom to breakfast in bed and bring her strawberries dipped in chocolate, for a sweet and tasty way to start the day. Alcoholic beverages flavored with chocolate – If your mom loves a dry gin of an evening, spice up the experience with a drink that has been infused with cocoa and nuts. Cooking with chocolate – Give mom a chocolate cook book for Mother’s Day. But don’t forget to provide a few of the basic ingredients. We hope that your mom’s special day will be one to remember. Give her the gift of chocolate for Mother’s Day and you’re sure to win her heart.